A third generation teen mom trying to break the cycle for her children. A low-income family facing a 1,337 percent increase in their child care costs. A Russian family with a newborn about to pitch a tent for shelter. From struggle to success, these stories from the past year are a snapshot of the ways First 5 LA has helped to improve the lives of young children, their families and those who care for them. During the past year, the Early Childhood Matters newsletter has highlighted many of the accomplishments made by First 5 LA within its four outcome areas, including tales of triumph in home visiting, developmental screening, community capacity building and our policy and advocacy efforts. As we continue to work in partnership with other organizations, philanthropists, government agencies and, of course, parents, we look forward to sharing even more of these happy endings in 2018. As a third-generation teen parent, Jamie Kyle was determined to break the cycle. Her toughest moment came while she was pregnant with her fourth child: she had to drive herself to the hospital, where she was alone. After her baby daughter was born, Kyle was grateful for giving her life, but tearful as she cradled her in her arms. Living on government assistance, Kyle was not involved in the community and did not know what resources were available. She wanted a better life for her children and herself, who admittedly lacked life skills. Kyle had her first child at the age of 18. Her mother also had become a teen parent at 18, and her grandmother became a parent at 13. Kyle’s quest to turn her life around led her in 2015 to the Transitional Subsidized Employment work readiness training program and the Girls Club of Los Angeles. It was there that she heard about First 5 LA, which was funding the Building Stronger Families effort in the Best Start Community Partnerships, including the Best Start South Los Angeles/West Athens Community Partnership. In 2016, Kyle shared her story and was soon working with the Girls Club under the Building Stronger Families grant as an outreach specialist for young parents in the Best Start partnership. Kyle’s dedication, positive attitude and work ethic earned her the nickname of “Den Mother.” She used phone calls, text messages, e-blasts and Facebook to let young parents know about community resources, Best Start offerings and parent meetings. 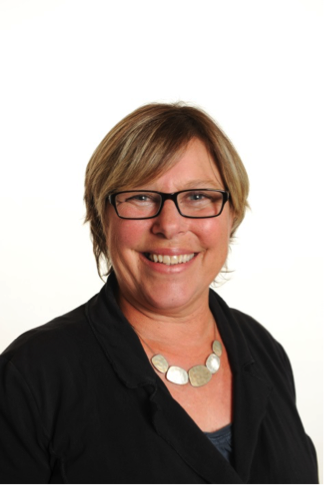 The experience also advanced her career as an advocate for others. Out of thousands that applied nationwide, she was one of 20 leaders who was awarded an advocacy position with Youth for Children with Common Sense Kids Action. And just last summer, Kyle earned a position at the Reverence Project in Los Angeles helping crime survivors obtain services in the community. Perhaps more important than anything, however, is that she feels her six children will not repeat the cycle of teen pregnancy. And the biggest compliment Kyle’s received so far? It comes from her mother and grandmother. Mr. Bruno had come from Russia to Los Angeles with his pregnant wife in search of a better life for their two young children, ages 5 and 2. But last May, only three weeks after their third child — a baby boy — was born, their money for a motel ran out. With no options, Mr. Bruno was about to pitch a tent on Venice Beach for his family to live in. Fortunately, Mr. Bruno reached out to 211 LA County, the central source for providing information and referrals for all health and human services in Los Angeles County and funded in part by First 5 LA. First 5 LA’s funding of 211 LA County helps ensure that families with children ages 0–5 and pregnant women are connected with social service agencies during times of need. Through the service, Mr. Bruno was connected to the Family Solutions Center (FSC) and 211’s housing coordinator. The family was placed in a shelter. While Mr. Bruno was grateful, he was concerned that he had to separate from his wife and children in order to stay at the shelter facility. Through 211 LA’s partnership with St. Joseph Center, a housing resource was located that was more suitable for the family. While St. Joseph Center brought the family in to develop a housing plan and inform them about the various support services that FSC could offer, 211 was able to secure a motel room where the family could spend the night. They were elated to stay in the same room together after being separated for four days. 211 provided the Bruno family with a voucher for the initial week at the motel before St. Joseph Center transferred them to a location that is closer to their office. During their stay at the motel, the family received bus tokens, food assistance and case management through the FSC program at St. Joseph Center. At the end of June 2017, the family was placed in a shelter. The family was so grateful that they were able to move into a shelter facility where they were not required to separate. Mr. Bruno was especially thankful because he would not have to miss out on time with his family, especially those pivotal first months of his new son’s life. 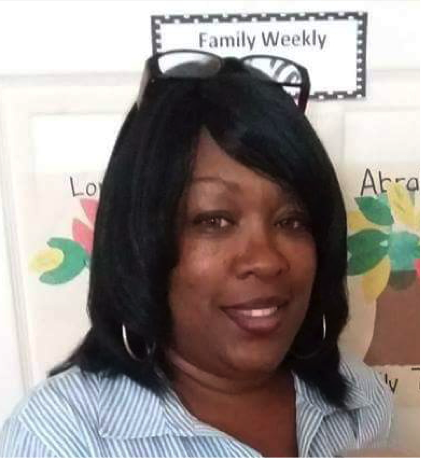 V. Walker was having a problem with the kids in her community: there just weren’t enough of them enrolled in her Precious Little Heartbeat Child Care in Los Angeles. As each child represents a significant portion of a family child care provider’s revenue, being under-enrolled by even a few children can hurt financially, particularly for those serving low-income families. Getting the word out about your child care business is crucial. And because the current generation of parents uses social media extensively, Walker’s lack of knowledge in that area left a hole in her business. Enter First 5 LA, which provided funding through its ECE Shared Services project for consultation and technical assistance that allowed Opportunities Exchange to help family child care providers in Los Angeles County like Walker learn to use social media marketing to attract families and enroll new children. Opportunities Exchange consultant Micaela worked with Walker to create her Facebook business page, put her child care business on Yelp and create a Google listing/Google Plus profile (along with the post graphics and cover photos). Micaela also placed the child care on five different online business directories. She assisted Waker in posting content at least once a week on the Facebook business page and Google Plus profile. Micaela also provided resources for Walker to source content to share on social media and to create video and original, branded informational content for the Facebook business page and Google Plus profile. Through these efforts, Precious Little Heartbeat Child Care had a significant increase in Facebook post engagement and in visibility on Google search. As a result, Walker has received a large increase in the number of families inquiring about care and, most importantly, she enrolled four new children in just two months. She now has an enrollment of 10 children, with more parents knocking on the door. The net increase to her business is $870 per week, or $45,240 per year. This increase is significant, as it makes her business much more financially sustainable and will enable Walker to continue to improve her already-high quality of care. Today, Walker regularly posts messages on her own Facebook page, including an announcement of her new website created this month. Now Walker aims to pay it forward, working with Micaela, Opportunity Exchange and others to establish a child care provider group — Los Angeles Child Care Providers United — which aims to help others with their social media marketing and other needs. So far, the group has assisted five other family child care providers. Less than 10 miles away from Walker, Hendy runs Hendy Family Child Care in Los Angeles. For a long time, she was unaware of training opportunities in her area that could improve the quality of her child care. “I was in business for eight or nine years before I even knew about any trainings,” said Hendy, who finally found a few trainings in 2014. Yet, even now the cost of some training and the times offered can prevent some providers like herself from attending, she added. 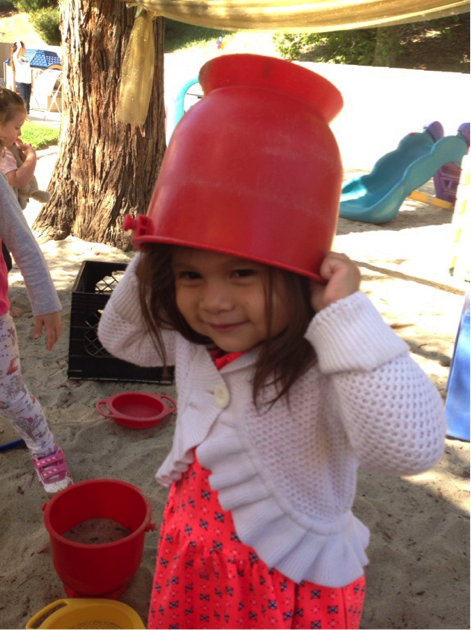 Then, this year, First 5 LA funded four trainings under its Early Childhood Educators for Improving Quality (ECE IQ) Project and contracted through the Child Care Alliance of Los Angeles. 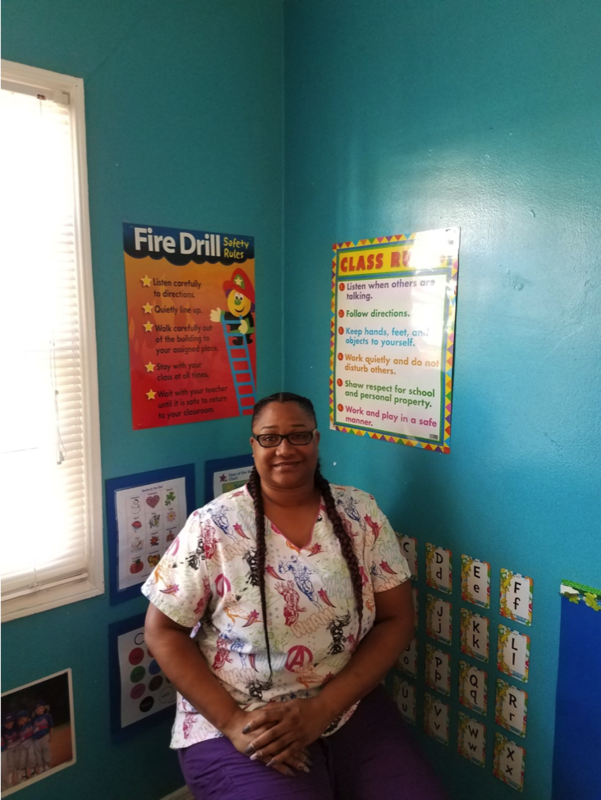 Held by three different Resource and Referral agencies — Connections for Children, Pathways, and Crystal Stairs, Inc. — the trainings drew 76 ECE IQ providers across the county to learn about effective teacher-child interactions, one of the most critical aspects of high-quality early education. As part of its focus on high-quality early care and education, First 5 LA’s current Strategic Plan prioritizes the advancement of a countywide Quality Rating and Improvement System (QRIS). Hendy, who attended one such training in June by Crystal Stairs, praised its many benefits. The greatest benefit, though, came when Hendy put her training into practice at her child care. Preschool for Kids, College for Mom or a Father’s Promotion? What would you do if child care for your two young kids was going to be raised from $167 to $2,400? 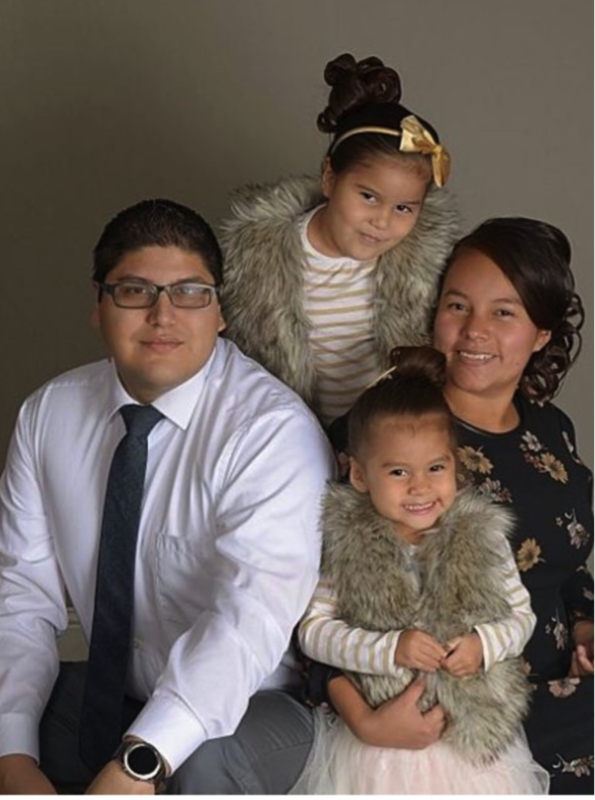 For Tujunga resident May Martinez and her family, that was the financial burden facing them — all because her husband was offered a promotion that paid him $4 an hour more. Because their low income had qualified them for subsidized child care, the family had been able to benefit from the $167 monthly child care cost. But the modest pay raise would raise their income just enough to terminate their eligibility for the subsidy. Her search for a solution brought her in contact with San Francisco-based Child Care Law Center, which received funding from First 5 LA. Child Care Law Center successfully represented 89 families — including the Martinez family — in hearings and appeals to keep their affordable child care from being terminated. Many of these families were impacted because they made just a few more dollars than the income ceiling due to the new minimum wages that were being implemented across the state. The family income guidelines had not been updated since 2007. Policy makers’ inaction was causing income-eligible families to lose their affordable child care. Child Care Law Center drafted legislation, worked with parents to educate policy makers about the need to update family eligibility guidelines and asked the State Advisory Council on Early Learning to set up a task force to make recommendations to the governor. Dozens of advocates signed letters of support and dozens of legislators signed a budget letter request to the Budget Committees in the Senate and Assembly. For her part, Martinez was a huge advocate for the new guidelines; she spoke at one of the public input sessions for the State Advisory Council’s Minimum Wage Task Force and shared her story with local representatives, urging them to vote for the proposal. As a result, the law governing family income guidelines and reporting requirements for low-income parents with child care subsidies was changed in June 2017. Over 250,000 children will be affected by the new law, which guarantees enrollment in a child care program for 12 continuous months or as long as needed. Without First 5 LA funding, the Child Care Law Center would have been unable to conduct this policy and advocacy work for the extended time it took, which was over four years. Martinez is “incredibly grateful and thankful” for the new guidelines. “So many families will be able to continue school, work and child care because of this change and it’s so exciting to know that this change finally came to pass,” she said. Meanwhile, her youngest daughter is still in preschool, while Martinez herself has been able to stay in college studying child development. She even began teaching.